Troubling statistics on pedestrian fatalities have been reported by the Governors Highway Safety Administration (GHSA). According to the GHSA’s most recent report, pedestrians made up 15 percent of all traffic fatalities in 2014 and will likely do so in 2015. GHSA estimates that the number of pedestrian fatalities will increase by 10-percent between 2014 and 2015. The last time pedestrians made up 15 percent of all fatalities was 25 years ago. In addition, the new report found that pedestrian deaths have been on a steady increase since 2005, when the pedestrian fatality rate was 11 percent. The current study is based on preliminary data from all 50 states and the District of Columbia. Pedestrian deaths vary widely from state to state, with Vermont showing no fatalities for the first half of 2015 and California showing 347. Maine saw five fatalities during the first half of 2015, which was the same number of pedestrian deaths in the state during the first half of 2014. Maine was one of just three states that saw no change in this statistic between the two years. More than half, 26 had increases in pedestrian fatalities, while 21 saw decreases in their numbers. 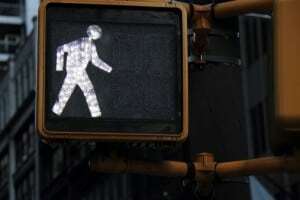 Nearly three-fourths of pedestrian deaths occurred when it was dark, the study found. More than one-third involved pedestrians with a blood alcohol level of .08 or higher. The majority of all pedestrian fatalities occurred in areas that were not intersections while one-fourth to one-third occurred at intersections. The rate of fatalities was similar across all the age groups. The report also includes evidence-based strategies that could effectively reduce pedestrian accidents and deaths. Some of those include steps to separate pedestrians and motor vehicles, such as sidewalks and refuge islands. Other strategies focus on improving visibility of pedestrians, through high-visibility crosswalks and improved street lighting. Finally, the GHSA listed ways in which motor vehicle speed could be reduced, since higher speeds were associated with a higher rate of pedestrian deaths. These include roundabouts, speed humps and automated enforcement. Public education is another recommendation in the GHSA’s report, which noted that education has always been a factor in reducing accidents involving motor vehicles and pedestrians. Steps in this direction have included a speed campaign toolkit created by the National Highway Traffic Safety Administration (NHTSA) and “Share the Road” and other branded campaigns. When a driver hits a pedestrian, it may be assumed the driver is always at fault. However, that is not the case. Negligence on the part of both the driver and the pedestrian can lead to the accident, which means either one can fail to exercise a reasonable standard of care for the circumstances. For example, a pedestrian may cross a street illegally, rather than using a crosswalk. Drivers may be negligent by traveling at excessive speeds or participating in distracting activities like texting. When determining liability in an accident between a pedestrian and a motor vehicle, numerous factors must be considered. Expert legal assistance is usually required to ensure the victim receives the appropriate compensation. To speak with experienced Maine accident attorneys about your case, please call Hardy, Wolf & Downing at 1-800-INJURED for a free consultation and answers to your legal questions.